Jo-Anne Elder is a writer, translator, and community worker. She has translated over twenty books of poetry, theatre, film, fiction, and non-fiction, of which three were shortlisted for a Governor General's prize: Beatitudes, by Herménégilde Chiasson;One, by Serge Patrice Thibodeau; and Tales from Dog Island: St. Pierre & Miquelon, by Françoise Enguehard. 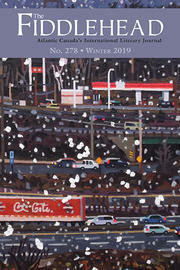 Her collection of flash fiction, Postcards from Ex-Lovers (Broken Jaw Press, 2005), won the WFNB's inaugural David Adams Richards Prize. She is currently translating Chiasson's first poetry collection (To Live and Die in Scoudouc) and is working on a new novel. 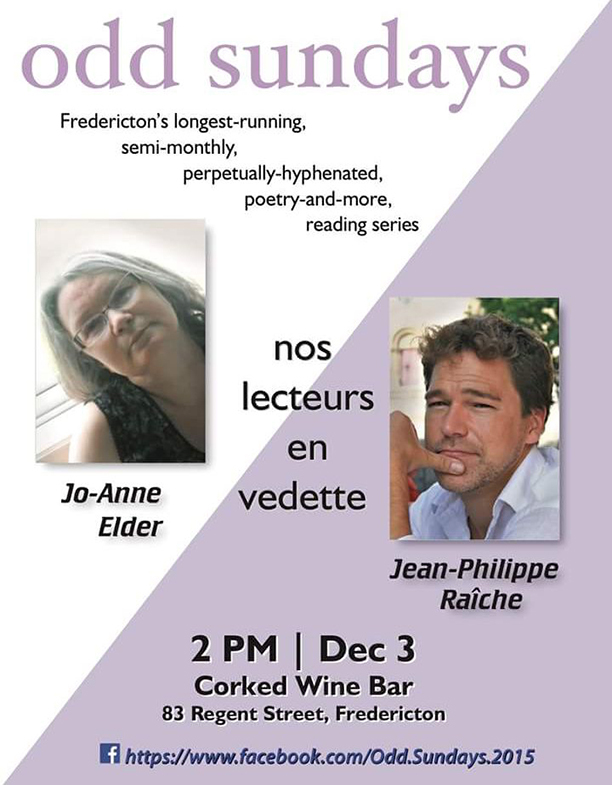 An Acadian poet born in 1970, Jean-Philippe Raîche explores collective destiny, exile, drifting, and displacement in his work; the sense of being uprooted is synonymous with the human condition, and the lover's body is the only home and refuge. He has studied at the Université de Moncton, the Universities of Montreal, McGill and Paris VII. Perce-Neige published his Une Lettre au bout du monde in 2001 and Ne réveillez pas l'amour avant qu'elle ne le veuille in 2007 (winner of the Aliénor prize and the Louise-Labé prize, two important awards in France).